A few weeks ago, Robin posted an update to her much-loved post 100 Fragrances Every Perfumista Should Try, adding twenty-five more fragrances worth seeking out. Angela has pitched in with a tempting selection of 25 Vintage Fragrances Every Perfumista Should Try, while Kevin has expanded our view with a list of 50 Masculine Fragrances. And what's my "beat" here on Now Smell This? I've always gravitated towards florals, particularly rose-based perfumes, so I'll do my part with a run-down of some must-try rose scents. Annick Goutal was one of my "gateway" houses into perfume obsession, partially because it offers several rose-inspired fragrances. Rose Absolue is the most "true" rose of the group. It brings together essences of six different roses (May, Turkish, Bulgarian, Damascus, Egyptian, and Moroccan) into a radiant bouquet. A more recent release from another French "niche" perfumery, Eau Rose is a delightfully uncomplicated sunny-day rose, pink and freshly picked, with hints of lemon and honey. Bonus: the pretty label design and packaging! Jo Malone gained her original following by offering fragrances that smelled just like their names — an unusual idea at the time. Red Roses has always seemed to me more like a bouquet of florist roses than a bunch gathered in a garden. It's linear, with no surprises, and it feels lush yet cultivated. This "queen of the flowers" is one of Serge Lutens's more accessible early fragrances, which is not to say that it's simplistic or cheap. Not at all: Sa Majesté La Rose subtly reveals the rose's varying aspects of brightness, softness, and sweetness. Beautifully crafted, and just plain beautiful. Diptyque was ahead of its time in 1983 when it combined a fresh rose accord with notes of green grass and tart black currant. L'Ombre dans L'Eau's evocation of a place and a mood (a riverside garden, a day shared by friends), its poetic name ("shadow in the water"), and its modernized Art Nouveau label design all add to its artisanal-chic appeal. This "Hermessence" is a minimalist fruity floral that brings together sheer rose, crisp grapefruit, tart rhubarb, and a very subtle vanilla. If you weren't shopping at high-end department stores or niche boutiques in the early 2000s, you might not have seen any rose fragrances at all. Stella McCartney changed that situation with Stella, an easy-to-wear citrus-rose-amber fragrance in a lovely purple bottle. It was a great commercial success, and thus it spawned dozens of imitators. Nahéma is a dramatic arrangement of overblown roses, spiced honey, ripe peaches, and mossy wood; it feels like a classic film with the color intensified and the volume turned up. Lush and elegant. Ormonde Jayne's Ta'if places its Damascus rose in a setting of saffron and pepper, dried fruit and resins. When I wear this fragrance, I feel as though I'm journeying across foreign lands, even though I'm just headed to the office or the corner-store. When Le Labo opened in 2006, its Rose 31 became a critics' darling in no time at all. Despite the name, this fragrance is more of a masculine spice-woods composition, heavy on the cumin, than a traditional rose scent; but it does include some rose, and it was named "Rose," so it changed many people's ideas of what a rose fragrance could be. The Different Company took a risqué approach to rose, encircling it with an animalic civet note, some slightly sweaty cumin, and a dash of pepper. Naughty, yet civilized. I don't wear many true chypres, just because they're not my style. However, I can appreciate the dark, untouchable beauty of Serge Lutens Rose de Nuit, and now that the former "exclusive" line is more widely available, I can recommend it without guilt. Even with the inclusion of some mossy "Guerlainade," Rose Barbare is a somewhat lighter, brighter take on the concept of a rose chypre. It's polished and dressy, but in a modern-classic way. A 1980s classic! This effervescent, fruity-sweet blend of roses and violets needs to be worn with magenta lipstick and heels. A little goes a long way. If you're looking for a dozen variations on the rose theme, Les Parfums de Rosine is the fragrance line for you. La Rose de Rosine, the brand's initial release from 1991, is a warm and feminine rose-violet composition with an Oriental drydown. Lush's Gorilla Perfumes concocts Imogen Rose from real rose absolute and rose oil and other natural ingredients (tonka, orris, vetivert). The result is a warm, powdery rose with a soft, woodsy base. Very long-lasting. There are a few rose-and-vanilla perfumes worth trying, but Tocade has been around longer than the rest. It's fabulously fake, not at all discreet, and a perfume-lover's perfume. It's also very affordable. Roses and chocolate are two of the biggest "romance" clichés, but S-Perfume brought them together in a fragrance that's anything but predictable. The rose is neon-pink, the chocolate is dark and cocoa-like, and a heaping of pulpy red fruit adds to the fun. In their own corner of the fragrance world, botanical perfumers like Mandy Aftel have never lost sight of the rose's endless potential. Wild Roses has a heart of true rose petals edged by spiced apricot and a swirl of incense. Sonoma Scent Studio has added several rose-inspired fragrances to its catalogue over the years. Rose Volupté is a reworking of the earlier Vintage Rose: it's a dusky, plummy rose surrounded by amber and woods. It's a perfect cold-weather rose. A sales associate in an upscale department store once regaled me with a tale of a member of a Middle Eastern royal family who spritzed Une Rose into the air, sniffed it, and ordered nine bottles for her various residences. The story may have been apocryphal, but it fits the fragrance. Une Rose is a lush, wine-like rose with a deep, root-y "truffle accord." If it were a flower, it would have thorns as well as velvety petals. If money is really no object, you could indulge in this East-meets-West tapestry of rich, creamy rose and other florals (geranium, ylang ylang), spices (cardamom, cinnamon, etc. ), frankincense, sandalwood, and many, many other notes captured in a deep red bottle. Lyric is complex and demands an emotional response. Its $300-plus price tag may evoke an entirely different set of emotions. Of course, an enjoyable rose fragrance doesn't have to cost a king's ransom. Tea Rose was popular in the 1980s and early 1990s, and it's still around, for less than $15. It can feel oddly prim and strident at the same time, but it's pretty, and it's worth giving a try if you're in the mood for a bit of nostalgia. We've certainly all grumbled over the high prices currently being charged for uninspired fruitchoulis and fleurmands at department stores these days. Yves Rocher's Rose Absolue was developed by the same perfumer who created 2000 et Une Rose / Mille et Une Roses for Lancôme, and it's a good-quality nouveau rose (ambery-sweet, with a dash of patchouli) at a bargain price. Crabtree & Evelyn's signature English-garden sensibility means that we've always been able to find one or two rose-based scents on its tidy shelves. Rosewater Eau de Toilette is a sheer, cheerful blend of rose with peonies and light leafy notes. It can even be paired with a full line of matching bath-and-body products. After all, rose happens to work beautifully as a scent for toiletries as well as perfume. Of course, this isn't the final word on rose fragrances; I'll probably think of a few other must-trys as soon as this list has been posted. Do feel free to share your own suggestions in the comments! Note: top image is goodbye [cropped] by jasleen_kaur at flickr; some rights reserved. 1. If I were including discontinued fragrances, I'd begin with Creed Fleur de Thé Rose Bulgare, which was my favorite true, fresh rose soliflore for several years. I scored a new tester bottle on some discounter website years ago; I loved it, I used it up, and I'll never have it again. Alas. 2. My grandmother wore Caron Bellodgia, and I came to love its spicy-sweet, rose-carnation composition in my thirties. I even wore it on my wedding day. However, it has been reformulated to the point where I can't honestly recommend it. Such a shame. There are a few I need to try from that list. I didn’t care for the SL one at all. Tom Ford’s Noir de Noir, L’artisan’s Drole de Rose or Malle’s Lipstick Rose are worth a sniff as well. Also, Briar Rose, Ineke. Oh, I love Drole de Rose and Lipstick Rose! It was hard for me to limit myself to two rose-and-violet scents. Full disclosure: I don’t particularly like rose perfumes, they range from truly unpleasant (AG Rose Splendide) at worst, to nice-enough-but-dull at best. Anyway, I’m always surprised when Lyric is described as a rose perfume. To my nose, it’s Epic that’s built around a tremendously realistic and, as far as roses go, quite nice rose. Some resinous incense on top, a drop of vanilla in the base and heaps and heaps of rose. Liaisons Dangereuses by Kilian is another luxe rose which I reckon should have made the list. There are certainly plenty of dull rose fragrance out there, at all price points!! You know, I’ve smelled that Kilian several times, yet I can never recall it well. I think it has a plum note…? Just had a quick look on BK website and you are right, they mention plum which surprises me since I always think of plum as quite smoky. It does have a jammy/fruity character but I wouldn’t have pegged it as plum. It’s lush and clearly high quality, I just find that after 2 hours of smelling rose, I’m ready to move on to something else. Oh, have fun exploring them! Amouage is in my top 3 all time favourite houses and while I don’t feel compelled to wear Epic myself, I wouldn’t hesitate to recommend it to rose lovers. Love Lyric, though – it’s beautiful and a touch weird which is what makes it more compelling for me. I like Ubar and Memoir Woman myself! Amouage is an impressive house for sure! I have a couple mL of Ubar that I wore a lot this time last winter. And I’ve been bringing it out again this winter. Enough so that I’m considering buying a large decant. I don’t find that I need more than a few drops to feel totally enveloped in its loveliness, so I can probably do without a FB! (Probably.) I *do* own a bottle of Memoir, and I don’t regret it, ever! The three that I own are Dia, Jubilation 25 and Lyric and I wouldn’t mind a couple of others including Memoir. Ubar (the re-formulation, at least) is the one that I can’t wear because it’s just too bright no matter how lightly I dab. I’m an Opus III fan… and I have a small amount of Dia, which I’m starting to love. I love Lyric….but to me it’s all about woods… a drop of rose. Epic is all frankincense and cumin and sandalwood and I’ve yet to find a drop of rose…. Abyss, I’m with you on Liaisons Dangereuses. This beautiful, almost smoky plum rose is one of my favorite fall perfumes. I also love Calice Becker’s other Kilian rose, Rose Oud. Oud is another note that I’m not a huge fan of but I found both Liasons and Rose Oud very impressive from the sheer quality of the ingredients. They are definitely worth trying for anyone who likes those notes. Slightly off topic but Montale’s Oud Cuir d’Arabie is the only oud I’ve found that flips the happy switch in my brain. I’m probably not supposed to wear it but it smells absolutely amazing. I should try that one! I love Kilian Rose Oud –one of my favorite roses. To me it’s rose and leather….I usually don’t care for oud at all! SLs overall don’t work on me, so I won’t worry about those. I was concerned at first not to see the Creed FdTRB on the list, but understand why you listed it as you did. It is one of my HG rose scents. I would also suggest Caron Or et Noir and DSH June Bride. I love rose scents. DSH does some really nice rose scents, I agree! Beach Roses is a good salt-air-and-driftwood rose. Or et Noir is gorgeous! If you have not bought any lately, though, prepare to be devastated. The last time I restocked, I was shocked. It is so thin, now,….so so thin and light. Still pretty, but a mere shadow of what it once was. I keep hoping maybe I just got a bad bottle, but it doesn’t smell off, just thin. I hope I’m wrong and it’s just my nose!. Thanks for this article! Great to see my favourite rose on this list: the beautiful and poetic Amouage Lyric. While re-reading reviews and descriptions for this post, I was surprised to note that TDC’s Rose Poivree included… oud!! They were far ahead of the pack. Mmm, me too, love Rose Oud. Generally oud is a little ambitious for me, but that one made me want to try a little harder! Parfum Sacre is probably my favorite rose-centric scent. I haven’t tried the current formulation, but I was lucky enough to find an older bottle and it’s just divine. Rose isn’t one of my favorite notes, but it does pair beautifully with woods, spices, and incense. Emily, so true, and Parfum Sacre is a perfect example of that! Is there rose in Parfum Sacre? I own a newer bottle, and I think of it as straight incense–and so dry. I will have to go wear some and sniff for the rose! I haven’t tried the current formulation of Parfum Sacre (my bottle dates back to 2002), but my experience of the rose in it is that it’s one that’s really woven in with the incense, pepper and spices. I hope they haven’t changed it too much since. I have a sample from about 2010 and it reminds me of pot-pourri. Smelling it makes me thirsty! Its the only Caron I’v tried and I’m now disinclined to test further! It’s definitely more spice and pepper than rose, which is why I didn’t think to include it on this list… but it’s worth checking out! Perfumebottles, I also love BK Rose Oud and Caron Parfum Sacre! I think you’re right that rose needs a complement. My favourites from the list are Une Rose and Sa Majeste La Rose. I also love Lipstick Rose, Une Rose Chypree and Portrait of a Lady. Rose is my favorite note, though I have trouble picking it out if there are too many other notes, so my favorites tend to be all but soliflores! The AG is my HG, so tender and pretty that it makes me feel vulnerable when I wear it. As someone mentioned upthread, Caron’s Or et Noir is fantastic! And I love C&E Rosewater, and I especially love the other products…lotion, shower gel, powder. Their Evelyn Rose is a favorite of mine, too, though I think a little louder with all the peach. I also like Penhaligon’s Elisabethan Rose, but like the Creed, I prefer it dabbed rather than sprayed. I get almost no rose form the Creed when I spray it, it goes quite citrusy on me and while the Penhaligon stays rosy, it also gets that odd little herbal/bracing note in it that so many of their scents seem to have. I think the rose I wear the most is the Bvlgari, mainly because my husband likes it. It took me a year to decide to even buy it because there was a note that hit me wrong (never could figure out what it was), but I really enjoy it now. Evelyn Rose was one of the first rose fragrances that I wore, in my early 20s. Lovely! And I do like Penhaligon’s Elisabethan Rose as a simple rose soliflore, but it has very poor staying power on me. The finest rose fragrance I’ve ever sniffed, and I have sniffed my share, is without any doubt Shiseido’s White Rose. It is gloriously gorgeous and so true a white rose it is as if I’ve been able to bottle the albas growing in my garden. Oh, yes, I forgot about this one. A very generous lady sent me a sample from her stash; truly lovely. Reminds me also that I have a drop of one called Private Reserve Snow Rose from the Perfume House that is probably the best I have ever smelled. Oh and an extremely generous opera fan introduced me to Montale’s Ta’if Roses, which is another lush beauty! Ditto on the White Rose. That, for me, is the ne plus ultra of rose fragrances. It is a true rose that stays true, without ever turning too sour, or too sweet, or too anything. Oooh, if it has the 50 Roses seal of approval!! Oh shoot. And $9 for .25 mL at TPC. I guess that one is gonna stay on the “if the gods love me” list! I think someone sent me a little sample of White Rose a while back. Must check my drawer!! How could I have forgotten that one? A friend returned from a trip to Japan in November and picked up a full bottle for me. It is truly sublime. I think it will be my Christmas Day scent, with Or et Noir serving for a romantic Christmas Eve night. Great article, Jessica! Rose is a tricky note for me, but it so happens I am wearing Stella today. I’m also a big fan of the Yves Rocher Rose Absolue — agree that it’s a total bargain! I really like Stella, even though every young woman on the NYC subway seemed to be wearing it at one point! It’s really nicely done and versatile, and not teen-girly at all. I definitely want to try the SL roses on the list, as well as Ta’if and Rose Poivree. I like the roses in Santal Majuscule and in L’Artisan’s Safran Troublant. I tend to like my roses (well, florals in general) a bit on the darker or spicier side. I love ELdO’s Rossy de Palma with its leather-like cacao/patchouli/incense base. That one also showed me that sweeter/fruitier renditions of rose can work for me. I sometimes have issues with berry-inflected rose notes as they tend to get a bit loud on me. I felt that way about Tauer’s Incense Rose (first impression: loud, day-glo fruity rose beast) but I decided to give it another go yesterday and I am coming around. Oh, you might like TF Noir de Noir which Omega mentioned above for a darker rose/cocoa combination. ELdO’s Rossy de Palma is a good one! We could probably put together a list of 25 rose-patchouli fragrances to try…! I love rose perfumes and my favourite is Farmacia Santa Maria de Novella. A little goes a very long way but I live I fear of running out as it is so hard to find outside Italy, and so expensive too. I also love Neal’s Yard rose perfume, which smells deliciously like Turkish delight. I’ve tried the Santa Maria Novella rose, which wasn’t really my taste, but never the Neal’s Yard! I must seek that one out. Thanks! Thank you for a wonderful list! I started my smelling career as a rose lover, sort of. I have worn YSL Paris for years and still do. Great to see it made it’s way onto your list. I love the way you have made different categories of roses. Your list includes many of my own favourites some are not on it. Some roses I love and I think merit a try are: L’Eau de Protection de Rossy de Palma by ELd’O, Ecume de Rose by Les Parfums de Rosine, Portrait of a Lady by Editions de Parfums ( FM), Drôle de Rose by L’Artisan, White Linen, Estee Lauder and Le Maroc pour Elle Tauer. List-making is fun but challenging! I’m trying to be well-rounded, and not just list my own favorites. I do love Ecume de Rose (and Poussiere de Rose, and Secrets de Rose… many Rosines!). We could think of this list as a place to begin. Cannot resist commenting, for the first time EVER, because something extraordinary has happened and you are discussing Rose perfumes. I’ve been reading about perfume for a year or two now, imagining myself a perfumista, even though I can barely wear perfume…most of it gives me a headache, and my husband HATES it. He is not the type to suffer in silence, either. Last evening, for the first time in history, he loved a scent I had happened to try on that afternoon while I was shopping at Sephora. Enough so that he begged me to go out and buy some for myself this morning. The magic perfume, the first one in the history of perfumery that he likes? Chloe EDP. I bought the Rollerball so I wouldn’t have to spray it, because I’m so sensitive I cannot spray anything without it being too much. Thank goodness I love it too, it smells wonderful on me especially hours later. How wonderful to have found something you both like! Congrats! I’m so glad you’ve commented, and I’m even more glad that you’ve found something you and your husband can both enjoy. Hurray!! Thank you both. I might wish he had fallen in love with something a little more interesting … but I’ll take what I can get, and I do like it on me. Two Rosines that are nice additions here are Rose Kashmerie-in the rose-saffron category, and Rose Praline-in the gourmand category-but lightened with a spry tea note. Just lovely. In the scary-strong but beloved category, I’d place Montale’s Black Oud, and the oddest rose of all must be SIP Black Rosette. Montale White Oud is a lovely creamy vanillic rose, but you must enjoy oud! In the dark rose chypre category, I nominate L’Arte di Gucci as a beauty. And I prefer Epic woman to Lyric-it’s drier and spicier. I also think the Lyric man is superior (on me) to the “feminine”-not as rich, with a long, gorgeous dry down. Oh, Louise, I would like to try Rose Praline myself. I asked Jessica below if she tried it before. Right now, I really want to have a “slightly” gourmand+rose perfume. I hope Rose Praline is one I am looking for. Thanks for your suggestion! I luuuurve Rose Praline.’ The rose note is more subtle than the cocoa and tea notes, but this is a grown-up fleurmand, no doubt! I love it on chilly days. It also has very good staying power. I picked Tocade and 100% Love to mention because they are more “milestones,” but Rose Praline’ would have made my “50 Roses…” list! I absolutely love Rose Praline too. A similar rosy gourmand that I also love is DSH’s Pretty & Pink. Good to know there are 3 fans of Rose Praline here. You, Jessica and Loiuse. Thanks Egabbert, I will definitely check this out and happy to learn also that the line Les Parfums de Rosine is available here in Saudi Arabia! I believe (by reading your posts here on NST) that you are a person with exquisite taste and has good judgement on anything beautiful. Your “luuuurve” for Rose Praline make me want it MORE. Consider it 80% done. I will definitely go check it out after work. Thanks! I don’t care for Rose Ikebana at all, I think rose is much subtler and therefore more interesting in Pamplemousse Rose and Kelly Caleche! Anyway, the “dewier” the better! Argh, Kelly Caleche! That’s another good one. One of the few fragrances at Sephora that I can still heartily recommend…! A really nice citrusy-rose with other florals and a hint of leather. Great little list. Two of my favorites are the deliciously gourmand Parfum de Rosine Rose Kashmiri, and Floris Snow Rose, which is all powdery and soft. These are my favourite rose perfumes. Oh, I love Voleur de Roses! Another wonderful L’Artisan Parfumeur fragrance. I adore this earthy rose. Voleur de Roses is a great one! That said, it’s really all about the patch on me … which I don’t mind at all, it’s just that I have a hard time remembering there’s rose in there. That’s interesting how different perfume smell on us. Lucas, I tried one of these recently based on your recommendation that I really liked, a subtle rose oud – I think it was Rose Anonyme. I bet it was Rose Anonyme. It’s probably the most subtle oud next to a majestic oriental rose. For some reason Rose-centric fragrances tend to wear me instead of the other way around. I have Parfums de Rosine Homme and that totally engulfs me, and ditto on Hermes Pamplemousse Rose, so they both sit on the shelf. The more prominent the rose, the less I like it. Two fragrances that I really love are L’Artisan Saffran Troublant and Kilian Incense Oud, both of which seem to have roses but in a muted manner, at least to my nose. Don’t get me wrong, I love the smell of roses, but mostly from the flower itself and not in a fragrance that is worn. I understand: I feel exactly the same way about tuberose! I love it in person, but really don’t enjoy wearing it in fragrance form, for some reason. Love this list Jessica! Lots that I still need to try; very fun to have a list to work from. Least fave might be the Diptyque. I didn’t smell it until after l’Ombre dans l’eau, etc., and felt a little let down. It is, as you say, much more of a straightforward soliflore than many of their other compositions–so someone looking for that might be really happy with it! C.H., That’s exactly why I thought I should include the Eau Rose: it’s not innovative, but it’s a very pretty, fresh rose soliflore, it’s not too hard to find, and it leads the way to the rest of Diptyque’s offerings and to more complex roses from other lines! Definitely! For a little while I thought maybe what I really wanted was a simple rose soliflore, and it seemed like a prime candidate. Which reminds me to say, completely agree on the packaging! I love all the Diptyque Art Nouveau labels, but the impression of hand-tinted rose petals in the black and white design is just killer. Love it. Another easy, pretty rose–a few years ago l’Occitane had a limited edition shea butter hand cream that I loved called Bouton de Rose/Rosebud. Wish they’d bring it back! Alas I don’t like Rose 4 Reines nearly as well. L’Occitane did a nice rose-scented shea butter lotion this year for the holidays, too. If you can still find it, grab some! For another budget rose, how about Gres Cabaret? It’s one of the few rose scents that I own — as I mentioned above, rose isn’t really my thing, but I do enjoy scents that pair it with woods or incense (as is the case with Cabaret). Can’t decide whether the bottle is splendidly tacky or just plain tacky. Another commenter mentioned Parfum Sacre, which is one of my favorites (as a rose fragrance, and in general). I know there’s a lot else going on there, but I also think of Aromatics Elixir as a rose fragrance … which should give some idea of the level of rose-centricness I’m generally able to tolerate. Also, this topic has reminded me that I have a sample of Kerosene Whips and Roses that I need to try. Leather and rose sounds like a promising combo for me. Oh, that would be another good one to include in a (longer) list — like Tocade, it gives a lot of bang for the buck, and it has a similarly goofy bottle! mu fave rose is Une Rose Chypree by Tauer. Love, love, love. Also adore Ta’if and Le Labo’s. Woudl add Safran Troublant to the gourmande section too! There’s a lot you can do with a rose when you think about it……….!! Yay for URC! Big love from me, too! Right, URC is a huge favorite! Bliminda, there is *so* much that can be done, and is done, with rose!! Oh, Tea Rose by Perfumer’s Workshop was one of my first perfumes! The jocks in the back row of my algebra class affectionately called me “Eau de Rose.” I don’t gravitate toward rose scents, but I love this one! Annina, I have some nice memories of Tea Rose, too! and I remember one of my male friends saying that an old girlfriend had worn it and he never forgot the scent. I hope that SL peppery rose scent is an SL I will enjoy! If not, another house should do a strong peppery rose!:). ^ one that I really like I should say! I gotta say..I do love my Stella! I still really like Stella! The summer editions are nice, too. And the limited edition bottles are a treat. None of my faves made the list, which sort of reinforces my sense that I don’t like traditional rose scents. FM Lipstick Rose, Tauer Une Rose Chypree, and SSS Nostalgie are all big loves for me, totally FBW, and rose-centric. Early in my perfume sniffing, I came across a sample of BK Rose Oud and loved the rose note in it, although not the full composition. I would be very happy to find a rose scent with a similar winey, incensey rose but without the bits that didn’t appeal. Then again, it’s been so long, maybe I should just go dig out my sample and give it another try? Marjorie Rose, I love BK Rose Oud, so of course I’d say it’s worth another try. Also, have you tried BK Liaisons Dangereuses? It’s a wonderful rose plum perfume, also composed by Calice Becker. Yup, Liasons seems like a logical choice if you liked BK’s their rose but would prefer it without the oud. Of course, it’s worth re-testing Rose Oud if you think your taste might have evolved since. Also, FM Une Rose is a winey, earthy rose. Yes to the Frederic Malle Une Rose recommendation! Lipstick Rose is my favorite Malle, of course, although it feels even more violet-berry-musk to me than rose, so I didn’t squeeze it onto the list. I agree with LadyMurasaki’s inclusion of Tauer’s URC: whenever I wear this I lose all interest in smelling anything else; it is somehow so complete. And also, Portrait of a Lady, sweeter but deep and sophisticated! I’m surprised how many people find Sa Majeste la Rose boring – I find it very beautiful. On the other hand I find Stella to be boring as well as Diptyque’s Eau Rose (what a disappointment). I also find the Crabtree & Evelyn roses altogether dull. For a simple rose I would recommend Paul Smith’s rose which is lifted with a green tea note. Pretty, fresh, romantic. I love Lombre dans L’eau but I don’t get that much rose from it. To me its all green and black-current! The new EDP has a lot more rose (to my nose) but it has lost a little of that green tartness that makes the original so piquant. Your description of Tea Rose is perfect! Its paradoxical because that strident and prim character, which can be so off-putting, is also what stops it from being dull. Another worth mentioning may be Incense Rose, if only because it is so distinct! I don’t get any rose from Lombre dans L’eau either, it’s all green leaves and tart blackcurrant. I like it in the spring when I’m feeling tired of wearing all the heavy winter scents for months. Merlin, I wanted to love Portrait of a Lady, but it’s still growing on me…! Maybe I’ll love it soon. I actually found Sa Majeste La Rose kind of dull and geranium-y when I first tried it, years back, but now I think it’s perfect. Shifting tastes, I guess! I was more interested in Tocade and Bond’s West Side in those days. I wouldn’t have thought of POAL as difficult to like; or something that was an acquired taste – except for the fact that it seems to disappear and reappear on skin! Maybe these things work differently for everyone – for me anything with galbunum and/or oakmoss and maybe and/or patchouli fits into the acquired taste category! Originally I loved Sa Majeste – then for a while I thought it was, if not boring, then still too simple. Now I am back to loving it. Still haven’t bought a bottle though! Count me as a Portrait of a Lady lover. It was my first, and so far, only FM purchase. I got the 3 x 10mL travel spray set. One of the 3 will be up for swap (U.S. only) because I know I won’t go through all as a little bit goes a long way. It is a GORGEOUS scent and I know what you meant by it’s there at the beginning, disappears and comes back again! I love several of the perfumes on your list and am looking forward to trying the rest. It’s interesting, I love L’Ombre dans l’Eau, and it never occurred to me that had rose until I started seeing it on rose perfume lists. It just smells like L’Ombre dans l’Eau to me, rather than it’s components. I also want to second those who mentioned BK Liaisons Dangereuses, BK Rose Oud and Parfum Sacre, some of my all time fabs. One more perfume I’d add is the wonderful rose oud Amouage Homage Attar. It’s expensive, but so concentrated that a few touches of the dabber from a sample vial are enough, so I feel no guilt in recommending a small decant! Hi, Noz! I sort of skirted the rose oud issue, other than TDC Rose Poivree, because ouds with rose are always so, well, oud-y to me that I can’t tell them apart. Thanks for the recs! I realized that I forgot to mention my guilty pleasure rose, Guerlain Idylle Eau Sublime. It’s a very lovely rose covered with the dew of hedione (I think that’s what it is), which seems like a cheat, but it’s so pleasant to wear. Great article, Jessica! I’m a rose lover myself, and several of my faves have been mentioned, with the tops being Amouage Lyric and OJ Ta’if. One I haven’t seen, however, is Eau Suave from Parfum d’Empire. It’s very changeable on me, and it morphs from simple prettiness with “jammy” notes in the beginning to womanly seductiveness as it warms up more. I love it all. I’ve been on a rose kick lately and have used up my entire stick of Chere Louise from Crazy Libellule and the Poppies. I wish I could get a bottle in spray form; it’s such a warm and comforting rose without going into gourmand territory. Anyone have any suggestions for a smell-alike? Love Eau Suave! It is a powerhouse floral! I like Eau Suave! Karl at Aedes recommended it, knowing my usual taste, and he was right. I just got a decant of Ta’if in a swap and it’s wonderful. I also like Cabaret and Whips & Roaes. A lot of roses go sour on me. Voleur de Roses smells like a moldy basement on me. More than one person has mentioned Whips & Roses! I tried the first three Kerosene releases (those bottles are hilarious), but this one hasn’t come my way yet. Thanks for the reminder! Ineke (thru Anthropol..) has Briar Rose which I actually like quite a lot! Wearing VCleefs First tonite…it has Rose, no? And I just love the rise combo n Joy!! Elise, Joy is so elegant, isn’t it? You forgot Crabtree and Evelyn’s Masterful “Evelyn Rose” Fragrance… Just Sublimely Ros-y and Amazingly Deep and yet Fresh! What’s your budget like? There’s Lyric Man as well as Lyric Woman. Also the traditional Middle Eastern rose+oud/incense combination is worth checking out. By Kilian was already mentioned in the comments but there’s also Montale which basically specialises in the genre as well as Czech and Speake Dark Rose, just to name a few off the top of my head. Oh and I believe Rosine has at least one scent that they specifically market as masculine although I’ve no experience with the brand. Paestum Rose might interest you! Yes to all these recommendations as well as Rosine’s Rose d’Homme and Twill Rose (both marketed towards men). @blauriche also try hermes pamplemousse rose for a great unisex rose: grapefruit citrus, rose and woods, sheer and well-composed. Also maybe a rose oud like guerlain’s rose nacree du desert? Atelier Cologne Rose Anonyme is unisex. 3 roses for rose haters: Neela Vermeire Mohur, Xerjoff Damarose, and Eau D’Italie Paestum Rose. All so gorgeous! Gourmand, classic, and dry spiced, respectively. I’ve always had a probem with rose on my skin but these, Lipstick Rose, and Lyric are just beyond beautiful. Audreylicious, Eau d’Italie is another non-rose woody-spicy rose that I’d categorize with Le Labo’s rose. A great option for non-rose lovers! Your post is VERY timely for me as the past few days, I have been searching the web for a perfume which has rose in it. Specifically, I am looking for a moderately “foody rose” or “milky rose”. From your list above, I have Diptyque L’Ombre dans L’Eau, Hermès Rose Ikebana, and Stella McCartney Stella. On the side, I also have Gres Cabaret. I tried Amouage Lyric Woman but the frankincense is too much for me. I am eager to test Rose Praline by Les Parfums de Rosine only because of the gourmand note (cacao+rose). Have you tried it (Rose Praline)? Also, I read Montale has Candy Rose. Maybe that will satisfy my sweet tooth, no? Lastly, I will check Jo Malone if it has something I am looking for. Have a great day ahead! Edward, as several others here, I am a fan of Neela Vermeire’s Mohur. To my nose, it is both slightly milky and foody, although not a full-on gourmand scent. As it’s also very beautiful, I suggest adding this one to your “to try” list. PG’s Brûlure de Rose is a nice gourmand rose. TF Noir de Noir is a good take on cocoa+rose theme. Hi, Edward! There are plenty of interesting rose gourmands out there; I had trouble choosing two ‘important” ones! I’d also recommend Les Parfums de Rosine’s Rose Praline (rose, cocoa, tea) and Bond no. 9’s West Side (rose, vanilla, amber). PG Brulure de Rose and Jo Malone Rosewater & Vanilla are both very sweet vanilla-roses. Ayala Moriel’s Cabaret is a lovely all-natural rose with coconut and vanilla. Neela Vermeire’s Mohur is a very usual milky-spicy rose. THANK YOU ALL! I will include all your suggestions on my list. Thank you, Jessica, for the wonderful list. I haven’t tried many of these and look forward to making my way through them. L, Thank you for reading! I feel as though I’ve just scratched the surface with this list, but I’m hoping it’s a useful cross-section. And it has prompted such good additional suggestions! Thank You for compiling all these lists for us guys! Lovely and useful references! Elvanui, I’ve been enjoying the lists, too! I’m a Safran Troublant fan. I like its semi-gourmand feeling. All those L’Artisan “Spices” were well done! I love the darker, spicy roses or chypre ones. Big favorites are Amouage Epic, Portrait of a Lady and the gorgeous NV Mohur and Guerlain Rose Nacree. And Andy Tauers Une Rose Chypree I think would be a great rose on a man. Another NV Mohur fan! yay! I don’t know that Guerlain at all. I’ll have to find it. And yep, Andy Tauer’s Rose Chypree is another rose chypre to remember! There is nothing I love more than a good list. OK, there may be a few things but a good list is way up there, so thank you, Jessica! This one is especially timely for me, as I have just received my Aftelier samples, including Wild Roses, and Parfums de Rosine discovery set is waiting for me at the post office. There are several of my favourites on the list (Sa Majeste, Ta’if, Lyric, Stella), but my latest love is Mohur: a beautiful, intricate, complex rose. And I really want to sample Whips and Roses. Have fun with your samples, Annikky! I agree about Neela Vermeire’s Mohur: it’s so complex and unusual. I reviewed it a few months back and I’m still enjoying my sample! Thank you for writing this article! I will have to try some more of these. I really like rose, but the only rose fragrances I own so far are Parfum Sacre, Kelly Calèche, and Tea Rose (hard to resist at the price). I’d love to have a couple “deeper” rose scents though. 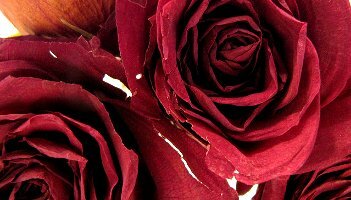 Songeuse, There are some really good recommendations for deeper roses in all these comments, so do browse up and down the page! Now I’m sorry I forgot about Kelly Caleche! One that I quite like and have not yet seen mentioned is Lady Vengeance by Juliet Has a Gun. It’s a very good rose with patchouli, but the patch does not dominate. Also, Parfums DelRae Coup de Foudre, a light feminine rose. I prefer my rose scents more dark and spicy so I have not bought the latter, but it’s a definite contender in this category, I would have thought. It’s funny, I also own BK Liaisons Dangereuses but never thought of it as a rose scent at all. Will have to give it another sniff! Another great bargain rose is The Body Shop’s Moroccan Rose. Years ago they had Cassis Rose, which I loved, and even further back they had some lovely rose-based perfume oils. One of my absolute favourites, which I don’t think has been mentioned yet, is Tauer’s une Rose Vermeille. Amyt, you know, I haven’t stopped in a Body Shop in a while. I’ll have to check out Moroccan Rose. Andy Tauer’s Une Rose Vermeille is another gorgeous variation on the rose-berry-vanilla theme! Ooooh, you beat me to it. Moroccan Rose is truly a cheap thrill – I got my 30mLs for I think $8…and it is the one perfume that is usually out of stock (and I just looked in the website, none listed as available right now). Thanks so much for this terrific article Jessica, I’m honored to have WIld Roses included! Mandy, Thanks for stopping by! Glad you enjoyed the post. Good list Jessica. How do you feel about Annick Goutal’s Ce Soir ou Jamais? I think that is a hauntingly beautiful turkish rose perfume, different than the more straight forward but also lovely Rose Absolue. Sapphire, I think Ce Soir ou Jamais is a beauty, too. Something in it (pear?) doesn’t quite agree with me, but I’d definitely recommend it to anyone looking for a more complex rose in the AG line! I really love Estee Lauder’s Knowing, and I have worn it since 2009 at least a couple of times each month. I’ll attest it’s perfectly unisex. Great for after a shower following a workout, when you really want the impression of “fresh” without any of the sports baggage. Easy to overdo. I love Rossy de Palma, too, and Lady Vengeance to me is a direct copy. In that case, I’d just pick up whichever was less expensive, though the Rossy is a bit greener/drier and therefore more beautiful! I agree about the comments, btw! I have tried some of the roses on your list. I have a travel spray of LUSH Imogen Rose which I think is the most expensive (found out at the register when the total from the cashier was quite a bit different than what I had calculated in my head!). Anyway, the one that is a big NO for me from your list was Le Labo Rose 31 — I got my sample from Barneys NY so I would expect it to not have turned. On me, it was a totally disastrous vinegary sour — I love vinegary sour in food…but not ON ME. Just thinking about it is making me shudder. Hello! Glad you enjoyed it! I think the real rose and orris in Imogen Rose add to the price… but it’s all worth it! As for Le Labo, I don’t care much for it personally, but it was such a trend-setter that I think it’s noteworthy. I would have to include Rosine’s Une Folie de Rose as one of the great rose chypres. I think it’s the best thing in the line. And their Rose Kashmirie is a lush gourmand rose. Sadly, Caron’s Parfum Sacre once belonged on this list as the greatest of all incense roses, but reformulation has dulled its magnificence. Ah, Folie de Rose is a good one. That would have made the list had I gone up to 30 or 35…! To the Indie Roses category I would add Ava-Luxe Roses. This is the one I turn to when I want to be enveloped by the intoxicating scent of roses. Notes (including eight different rose notes! ): Bergamot, Grass, Lemon, Honeyed Rose, Russian Rose Absolute, Turkish Rose Absolute, Bulgarian Rose Damascena Absolute, Bulgarian Rose Otto, Rose de Mai Absolute, Tea Rose, Rose Maroc Absolute, Chinese Rice Flower, Pepper, Cinnamon, Honey , Orris Root, Amber, Musk, Sandalwood, Moss, Incense, Peruvian Balsam. Someday I would love to also see a rundown of rose-scented bath and body products. It’s not easy to find ones that smell like actual roses! I love Ava-Luxe Roses, too! On me, it’s a lush, honeyed rose with chypre undertones and it has excellent staying power. The main reason I didn’t include it is that Ava/Serena doesn’t seem to be selling much of her line anymore… a shame! Re: Tocade – When I get to the mid stage of Missoni (which was created by Roucel who also made Tocade) I get this luxury lipstick note – creamy and edible rosy with an old fashioned lanolin that’s vaguely animalic in as much as it’s woolly and oily. God that sounds disgusting! But I love it. I’ve never tried Tocade but would like to after identifying the note in Missoni. I dislike sharp tea roses – I find them a bit Lady’s public toilet somehow. Thank you so much for this, Jessica! I love the new Perfumista lists. Rosarium – if it can be obtained, because it’s been out of production many years – is divine. Was Shiseido and Serge Lutens. Sa Majeste is something like it, only cruder. That explains it! I wondered why I didn’t like Bellodgia anymore, having loved it in the 80’s.Thanks so much for giving SL’s Sa Majeste la Rose a nod. I’ve never gotten over my first sniff and the instant ecstasy it produced. I do have a problem with the Rosine line. Is it just me? I love the opening, the middle, but an hour later the drydown is either banal or just not what I want to smell for the rest of the day. Then there’s Rose D-Ete which has no middle or drydown but simply vanishes after 10 minutes. And while I think of it: what? No Fracas? I don’t get much rose in Fracas. It’s focused on tuberose and orange blossom (granted, those notes in a really ornate gilded frame!) and I don’t think I’ve ever noticed rose in it. I stumbled into this lovely list of roses just now, but to my surprise I didn’t find either of my two favorite roses here: Attar de Roses and Mogador, both by Keiko Mecheri. I find Mogador to be a deep, rich true red rose with velvety petals; Attar de Roses is in my opinion a beautifully honeyed garden rose in the sunset of a lovely June evening. How do you feel about the KM-line roses? I felt compelled to make a comment on this as rose is my absolute favourite note. I am surprised that a number from La Parfums De Rosine didn’t get a mention in there somewhere, nor Andy Tauer’s incense rose (the ultimate spicy, smokey rose!) Oh, I so agree with your description about Nahema! I tried it for the first time at the weekend in pure perfume concentrate – what a delight. Sadly, it is way out of my budget range. Agent Provocateur is quite the lovely dark horse rose fragrance in my book.